From the 8th October until the 31st of October, Royal Vegas Online Casino is giving players the chance to win guaranteed cash credits, and the ability to multiply your winnings and receive an additional bonus stash, each week. Start playing your favourite real money games from day one at www.RoyalVegasCasino.com, and continue playing every day of that week to get the most out of this four week promotion. Every day you play real cash games, you are rewarded with more and more free credits to your bonus stash, over and above your winnings. If you start the promotion during week four, then you will receive and additional six days to complete your mission. This promotion is available to all Royal Vegas Casino members, and can be accessed via desktop, mobile, tablet and even Smart TV. 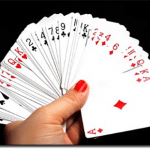 Not an account holder with one of Microgaming’s most established online and mobile gambling sites, yet? 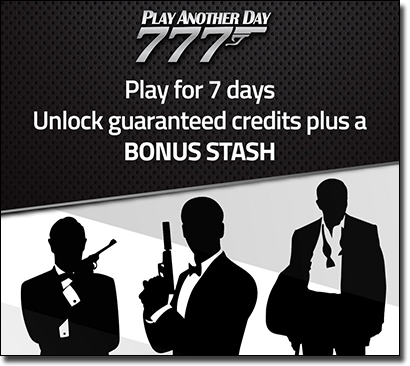 Sign up at www.RoyalVegasCasino.com and take advantage of the new player welcome bonus of up to $1,200, in addition to this ‘Play Another Day’ promo. 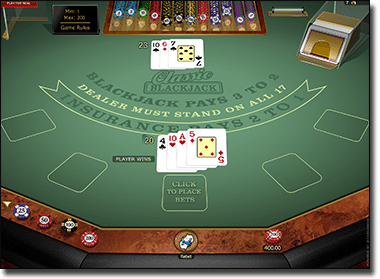 You can enjoy any titles inside the gaming lobby to activate this promotion, including the list of 45+ variants of blackjack, which include no hole card and hole card games. 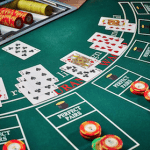 Australians can legally access and enjoy the gaming services providing at Royal Vegas Casino, and have a host of AUD-friendly deposit and withdrawal options to choose from, to conduct secure financial transactions (protected with the latest digital encryption technology). Some common banking methods include, credit and debit cards, e-wallets like Neteller and Skrill, pre-paid cards and vouchers such as Ukash and PaySafeCard, and direct wire transfers. Royal Vegas Casino’s fresh interface, which was renovated only a few months back, is slick, easy to use and neatly categorised. Its very own fully fledged mobile site is also extremely user-friendly, and while it doesn’t contain as many of the titles available via your desktop, there are still around 100 real money games to choose from, with Microgaming adding more and more each month. Register an account on any compatible device at www.RoyalVegasCasino.com and enjoy more than 650 games.